Heated Leather Seats, Sunroof, Dual Zone A/C, Keyless Start, Satellite Radio, Alloy Wheels, Back-Up Camera, CD Player, Bluetooth. Platinum White Pearl exterior and Ebony interior, w/Premium Pkg trim. EPA 34 MPG Hwy/24 MPG City! CLICK NOW!KEY FEATURES INCLUDELeather Seats, Sunroof, Heated Driver Seat, Back-Up Camera, Satellite Radio, iPod/MP3 Input, Bluetooth, CD Player, Aluminum Wheels, Keyless Start, Dual Zone A/C, Lane Keeping Assist, Blind Spot Monitor, Cross-Traffic Alert, Smart Device Integration MP3 Player, Keyless Entry, Remote Trunk Release, Steering Wheel Controls, Child Safety Locks. Acura w/Premium Pkg with Platinum White Pearl exterior and Ebony interior features a 4 Cylinder Engine with 201 HP at 6800 RPM*.EXPERTS ARE SAYINGGreat Gas Mileage: 34 MPG Hwy.OUR OFFERINGSAll preowned vehicles are covered by the Lorensen Advantage, including extended warranties and free services. For more information go to www.lorensen.com/lorensen-advantage.Horsepower calculations based on trim engine configuration. Fuel economy calculations based on original manufacturer data for trim engine configuration. Please confirm the accuracy of the included equipment by calling us prior to purchase. Sunroof, Heated Leather Seats, Dual Zone A/C, Keyless Start, Satellite Radio, Alloy Wheels, Back-Up Camera, CD Player. FUEL EFFICIENT 34 MPG Hwy/24 MPG City! Lunar Silver Metallic exterior and Ebony interior, w/Premium Pkg trim READ MORE!KEY FEATURES INCLUDELeather Seats, Sunroof, Heated Driver Seat, Back-Up Camera, Satellite Radio, iPod/MP3 Input, Bluetooth, CD Player, Aluminum Wheels, Keyless Start, Dual Zone A/C, Lane Keeping Assist, Blind Spot Monitor, Cross-Traffic Alert, Smart Device Integration. MP3 Player, Keyless Entry, Remote Trunk Release, Steering Wheel Controls, Child Safety Locks. Acura w/Premium Pkg with Lunar Silver Metallic exterior and Ebony interior features a 4 Cylinder Engine with 201 HP at 6800 RPM*.EXPERTS CONCLUDEGreat Gas Mileage: 34 MPG Hwy.OUR OFFERINGSAll preowned vehicles are covered by the Lorensen Advantage, including extended warranties and free services. For more information go to www.lorensen.com/lorensen-advantage.Horsepower calculations based on trim engine configuration. Fuel economy calculations based on original manufacturer data for trim engine configuration. Please confirm the accuracy of the included equipment by calling us prior to purchase. Sunroof, Heated Seats, Keyless Start, Dual Zone A/C, Satellite Radio, Back-Up Camera, Alloy Wheels, CD Player, Bluetooth. V6 trim, Platinum White Pearl exterior and Ebony interior. FUEL EFFICIENT 31 MPG Hwy/20 MPG City! READ MORE!KEY FEATURES INCLUDESunroof, Heated Driver Seat, Back-Up Camera, Satellite Radio, iPod/MP3 Input, Bluetooth, CD Player, Aluminum Wheels, Keyless Start, Dual Zone A/C, Heated Seats MP3 Player, Remote Trunk Release, Keyless Entry, Child Safety Locks, Steering Wheel Controls. Acura V6 with Platinum White Pearl exterior and Ebony interior features a V6 Cylinder Engine with 290 HP at 6200 RPM*.EXPERTS RAVEGreat Gas Mileage: 31 MPG Hwy.MORE ABOUT USAll preowned vehicles are covered by the Lorensen Advantage, including extended warranties and free services. For more information go to www.lorensen.com/lorensen-advantage.Horsepower calculations based on trim engine configuration. Fuel economy calculations based on original manufacturer data for trim engine configuration. Please confirm the accuracy of the included equipment by calling us prior to purchase. Heated Seats, Sunroof, Lane Keeping Assist, Smart Device Integration, Dual Zone A/C, Satellite Radio, Back-Up Camera, Alloy Wheels. TLX trim, Modern Steel Metallic exterior and Ebony interior. FUEL EFFICIENT 31 MPG Hwy/20 MPG City! AND MORE!KEY FEATURES INCLUDESunroof, Heated Driver Seat, Back-Up Camera, Satellite Radio, iPod/MP3 Input, Bluetooth, CD Player, Aluminum Wheels, Keyless Start, Dual Zone A/C, Lane Keeping Assist, Smart Device Integration, Heated Seats MP3 Player, Remote Trunk Release, Keyless Entry, Steering Wheel Controls, Child Safety Locks. Acura TLX with Modern Steel Metallic exterior and Ebony interior features a V6 Cylinder Engine with 290 HP at 6200 RPM*.EXPERTS ARE SAYINGGreat Gas Mileage: 31 MPG Hwy.OUR OFFERINGSAll preowned vehicles are covered by the Lorensen Advantage, including extended warranties and free services. For more information go to www.lorensen.com/lorensen-advantage.Horsepower calculations based on trim engine configuration. Fuel economy calculations based on original manufacturer data for trim engine configuration. Please confirm the accuracy of the included equipment by calling us prior to purchase. Heated Seats, Sunroof, iPod/MP3 Input, Onboard Communications System, All Wheel Drive, Turbo Charged, Alloy Wheels, Panoramic Roof. RDX trim, Majestic Black Pearl exterior and Ebony interior. FUEL EFFICIENT 27 MPG Hwy/21 MPG City! CLICK NOW!KEY FEATURES INCLUDESunroof, Panoramic Roof, All Wheel Drive, Power Liftgate, Heated Driver Seat, Back-Up Camera, Turbocharged, Satellite Radio, iPod/MP3 Input, Onboard Communications System, Aluminum Wheels, Keyless Start, Dual Zone A/C, Lane Keeping Assist, Smart Device Integration. Rear Spoiler, MP3 Player, Privacy Glass, Remote Trunk Release, Keyless Entry. Acura RDX with Majestic Black Pearl exterior and Ebony interior features a 4 Cylinder Engine with 272 HP at 6500 RPM*.EXPERTS REPORTGreat Gas Mileage: 27 MPG Hwy.WHO WE AREAll preowned vehicles are covered by the Lorensen Advantage, including extended warranties and free services. For more information go to www.lorensen.com/lorensen-advantage.Horsepower calculations based on trim engine configuration. Fuel economy calculations based on original manufacturer data for trim engine configuration. Please confirm the accuracy of the included equipment by calling us prior to purchase. Heated Seats, Moonroof, iPod/MP3 Input, Onboard Communications System, All Wheel Drive, Aluminum Wheels, Turbo Charged Engine, Panoramic Roof. EPA 27 MPG Hwy/21 MPG City! Majestic Black Pearl exterior and Ebony interior, RDX trim CLICK ME!KEY FEATURES INCLUDESunroof, Panoramic Roof, All Wheel Drive, Power Liftgate, Heated Driver Seat, Back-Up Camera, Turbocharged, Satellite Radio, iPod/MP3 Input, Onboard Communications System, Aluminum Wheels, Keyless Start, Dual Zone A/C, Lane Keeping Assist, Smart Device Integration. Rear Spoiler, MP3 Player, Privacy Glass, Remote Trunk Release, Keyless Entry. Acura RDX with Majestic Black Pearl exterior and Ebony interior features a 4 Cylinder Engine with 272 HP at 6500 RPM*.EXPERTS RAVEEdmunds.com's review says No matter what speed, these brakes inspire confidence thanks to predictable engagement and good feel.. Great Gas Mileage: 27 MPG Hwy.MORE ABOUT USAll preowned vehicles are covered by the Lorensen Advantage, including extended warranties and free services. For more information go to www.lorensen.com/lorensen-advantage.Horsepower calculations based on trim engine configuration. Fuel economy calculations based on original manufacturer data for trim engine configuration. Please confirm the accuracy of the included equipment by calling us prior to purchase. Heated Seats, Sunroof, iPod/MP3 Input, Onboard Communications System, All Wheel Drive, Turbo, Alloy Wheels, Panoramic Roof. FUEL EFFICIENT 27 MPG Hwy/21 MPG City! Fathom Blue Pearl exterior and Ebony interior, RDX trim CLICK ME!KEY FEATURES INCLUDESunroof, Panoramic Roof, All Wheel Drive, Power Liftgate, Heated Driver Seat, Back-Up Camera, Turbocharged, Satellite Radio, iPod/MP3 Input, Onboard Communications System, Aluminum Wheels, Keyless Start, Dual Zone A/C, Lane Keeping Assist, Smart Device Integration Rear Spoiler, MP3 Player, Privacy Glass, Remote Trunk Release, Keyless Entry. Acura RDX with Fathom Blue Pearl exterior and Ebony interior features a 4 Cylinder Engine with 272 HP at 6500 RPM*.EXPERTS CONCLUDEGreat Gas Mileage: 27 MPG Hwy.WHO WE AREAll preowned vehicles are covered by the Lorensen Advantage, including extended warranties and free services. For more information go to www.lorensen.com/lorensen-advantage.Horsepower calculations based on trim engine configuration. Fuel economy calculations based on original manufacturer data for trim engine configuration. Please confirm the accuracy of the included equipment by calling us prior to purchase. Sunroof, Heated Seats, iPod/MP3 Input, Onboard Communications System, All Wheel Drive, Turbo, Alloy Wheels, Panoramic Roof. Lunar Silver Metallic exterior and Ebony interior, RDX trim. FUEL EFFICIENT 27 MPG Hwy/21 MPG City! READ MORE!KEY FEATURES INCLUDESunroof, Panoramic Roof, All Wheel Drive, Power Liftgate, Heated Driver Seat, Back-Up Camera, Turbocharged, Satellite Radio, iPod/MP3 Input, Onboard Communications System, Aluminum Wheels, Keyless Start, Dual Zone A/C, Lane Keeping Assist, Smart Device Integration Rear Spoiler, MP3 Player, Privacy Glass, Remote Trunk Release, Keyless Entry. Acura RDX with Lunar Silver Metallic exterior and Ebony interior features a 4 Cylinder Engine with 272 HP at 6500 RPM*.VEHICLE REVIEWSGreat Gas Mileage: 27 MPG Hwy.OUR OFFERINGSAll preowned vehicles are covered by the Lorensen Advantage, including extended warranties and free services. For more information go to www.lorensen.com/lorensen-advantage.Horsepower calculations based on trim engine configuration. Fuel economy calculations based on original manufacturer data for trim engine configuration. Please confirm the accuracy of the included equipment by calling us prior to purchase. Heated Seats, Moonroof, iPod/MP3 Input, Onboard Communications System, All Wheel Drive, Turbo Charged, Aluminum Wheels, Panoramic Roof. RDX trim, Modern Steel Metallic exterior and Ebony interior. EPA 27 MPG Hwy/21 MPG City! READ MORE!KEY FEATURES INCLUDESunroof, Panoramic Roof, All Wheel Drive, Power Liftgate, Heated Driver Seat, Back-Up Camera, Turbocharged, Satellite Radio, iPod/MP3 Input, Onboard Communications System, Aluminum Wheels, Keyless Start, Dual Zone A/C, Lane Keeping Assist, Smart Device Integration. Rear Spoiler, MP3 Player, Privacy Glass, Remote Trunk Release, Keyless Entry. Acura RDX with Modern Steel Metallic exterior and Ebony interior features a 4 Cylinder Engine with 272 HP at 6500 RPM*.EXPERTS ARE SAYINGGreat Gas Mileage: 27 MPG Hwy.MORE ABOUT USAll preowned vehicles are covered by the Lorensen Advantage, including extended warranties and free services. For more information go to www.lorensen.com/lorensen-advantage.Horsepower calculations based on trim engine configuration. Fuel economy calculations based on original manufacturer data for trim engine configuration. Please confirm the accuracy of the included equipment by calling us prior to purchase. Heated Seats, Moonroof, iPod/MP3 Input, Onboard Communications System, All Wheel Drive, Turbo Charged Engine, Aluminum Wheels, Panoramic Roof. RDX trim, Fathom Blue Pearl exterior and Ebony interior. EPA 27 MPG Hwy/21 MPG City! READ MORE!KEY FEATURES INCLUDESunroof, Panoramic Roof, All Wheel Drive, Power Liftgate, Heated Driver Seat, Back-Up Camera, Turbocharged, Satellite Radio, iPod/MP3 Input, Onboard Communications System, Aluminum Wheels, Keyless Start, Dual Zone A/C, Lane Keeping Assist, Smart Device Integration Rear Spoiler, MP3 Player, Privacy Glass, Remote Trunk Release, Keyless Entry. Acura RDX with Fathom Blue Pearl exterior and Ebony interior features a 4 Cylinder Engine with 272 HP at 6500 RPM*.EXPERTS ARE SAYINGGreat Gas Mileage: 27 MPG Hwy.MORE ABOUT USAll preowned vehicles are covered by the Lorensen Advantage, including extended warranties and free services. For more information go to www.lorensen.com/lorensen-advantage.Horsepower calculations based on trim engine configuration. Fuel economy calculations based on original manufacturer data for trim engine configuration. Please confirm the accuracy of the included equipment by calling us prior to purchase. Heated Seats, Sunroof, iPod/MP3 Input, Onboard Communications System, All Wheel Drive, Turbo, Alloy Wheels, Panoramic Roof. FUEL EFFICIENT 27 MPG Hwy/21 MPG City! White Diamond Pearl exterior and Parchment interior, RDX trim CLICK NOW!KEY FEATURES INCLUDESunroof, Panoramic Roof, All Wheel Drive, Power Liftgate, Heated Driver Seat, Back-Up Camera, Turbocharged, Satellite Radio, iPod/MP3 Input, Onboard Communications System, Aluminum Wheels, Keyless Start, Dual Zone A/C, Lane Keeping Assist, Smart Device Integration Rear Spoiler, MP3 Player, Privacy Glass, Remote Trunk Release, Keyless Entry. Acura RDX with White Diamond Pearl exterior and Parchment interior features a 4 Cylinder Engine with 272 HP at 6500 RPM*.EXPERTS RAVEGreat Gas Mileage: 27 MPG Hwy.MORE ABOUT USAll preowned vehicles are covered by the Lorensen Advantage, including extended warranties and free services. For more information go to www.lorensen.com/lorensen-advantage.Horsepower calculations based on trim engine configuration. Fuel economy calculations based on original manufacturer data for trim engine configuration. Please confirm the accuracy of the included equipment by calling us prior to purchase. Heated Seats, Moonroof, iPod/MP3 Input, Onboard Communications System, All Wheel Drive, Turbo Charged, Aluminum Wheels, Panoramic Roof. EPA 27 MPG Hwy/21 MPG City! RDX trim, Majestic Black Pearl exterior and Ebony interior CLICK ME!KEY FEATURES INCLUDESunroof, Panoramic Roof, All Wheel Drive, Power Liftgate, Heated Driver Seat, Back-Up Camera, Turbocharged, Satellite Radio, iPod/MP3 Input, Onboard Communications System, Aluminum Wheels, Keyless Start, Dual Zone A/C, Lane Keeping Assist, Smart Device Integration Rear Spoiler, MP3 Player, Privacy Glass, Remote Trunk Release, Keyless Entry. Acura RDX with Majestic Black Pearl exterior and Ebony interior features a 4 Cylinder Engine with 272 HP at 6500 RPM*.EXPERTS REPORTGreat Gas Mileage: 27 MPG Hwy.BUY FROM AN AWARD WINNING DEALERAll preowned vehicles are covered by the Lorensen Advantage, including extended warranties and free services. For more information go to www.lorensen.com/lorensen-advantage.Horsepower calculations based on trim engine configuration. Fuel economy calculations based on original manufacturer data for trim engine configuration. Please confirm the accuracy of the included equipment by calling us prior to purchase. Heated Seats, Sunroof, iPod/MP3 Input, Onboard Communications System, All Wheel Drive, Turbo, Alloy Wheels, Panoramic Roof, Satellite Radio. EPA 27 MPG Hwy/21 MPG City! RDX trim, Majestic Black Pearl exterior and Ebony interior READ MORE!KEY FEATURES INCLUDESunroof, Panoramic Roof, All Wheel Drive, Power Liftgate, Heated Driver Seat, Back-Up Camera, Turbocharged, Satellite Radio, iPod/MP3 Input, Onboard Communications System, Aluminum Wheels, Keyless Start, Dual Zone A/C, Lane Keeping Assist, Smart Device Integration Rear Spoiler, MP3 Player, Privacy Glass, Remote Trunk Release, Keyless Entry. Acura RDX with Majestic Black Pearl exterior and Ebony interior features a 4 Cylinder Engine with 272 HP at 6500 RPM*.EXPERTS RAVEGreat Gas Mileage: 27 MPG Hwy.VISIT US TODAYAll preowned vehicles are covered by the Lorensen Advantage, including extended warranties and free services. For more information go to www.lorensen.com/lorensen-advantage.Horsepower calculations based on trim engine configuration. Fuel economy calculations based on original manufacturer data for trim engine configuration. Please confirm the accuracy of the included equipment by calling us prior to purchase. Heated Seats, Moonroof, iPod/MP3 Input, Onboard Communications System, All Wheel Drive, Aluminum Wheels, Turbo Charged. FUEL EFFICIENT 27 MPG Hwy/21 MPG City! Modern Steel Metallic exterior and Ebony interior, RDX trim READ MORE!KEY FEATURES INCLUDESunroof, Panoramic Roof, All Wheel Drive, Power Liftgate, Heated Driver Seat, Back-Up Camera, Turbocharged, Satellite Radio, iPod/MP3 Input, Onboard Communications System, Aluminum Wheels, Keyless Start, Dual Zone A/C, Lane Keeping Assist, Smart Device Integration. Rear Spoiler, MP3 Player, Privacy Glass, Remote Trunk Release, Keyless Entry. Acura RDX with Modern Steel Metallic exterior and Ebony interior features a 4 Cylinder Engine with 272 HP at 6500 RPM*.EXPERTS CONCLUDEEdmunds.com explains No matter what speed, these brakes inspire confidence thanks to predictable engagement and good feel.. Great Gas Mileage: 27 MPG Hwy.VISIT US TODAYAll preowned vehicles are covered by the Lorensen Advantage, including extended warranties and free services. For more information go to www.lorensen.com/lorensen-advantage.Horsepower calculations based on trim engine configuration. Fuel economy calculations based on original manufacturer data for trim engine configuration. Please confirm the accuracy of the included equipment by calling us prior to purchase. Heated Seats, Moonroof, iPod/MP3 Input, Onboard Communications System, Satellite Radio, All Wheel Drive, Turbo Charged Engine, Aluminum Wheels, Back-Up Camera. RDX trim, Modern Steel Metallic exterior and Ebony interior. SEE MORE!KEY FEATURES INCLUDESunroof, Panoramic Roof, All Wheel Drive, Power Liftgate, Heated Driver Seat, Back-Up Camera, Turbocharged, Satellite Radio, iPod/MP3 Input, Onboard Communications System, Aluminum Wheels, Keyless Start, Dual Zone A/C, Lane Keeping Assist, Smart Device Integration Rear Spoiler, MP3 Player, Privacy Glass, Remote Trunk Release, Keyless Entry. Acura RDX with Modern Steel Metallic exterior and Ebony interior features a 4 Cylinder Engine with 272 HP at 6500 RPM*.EXPERTS RAVENo matter what speed, these brakes inspire confidence thanks to predictable engagement and good feel. -Edmunds.com. 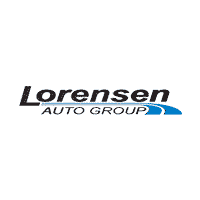 Great Gas Mileage: 27 MPG Hwy.OUR OFFERINGSAll preowned vehicles are covered by the Lorensen Advantage, including extended warranties and free services. For more information go to www.lorensen.com/lorensen-advantage.Horsepower calculations based on trim engine configuration. Fuel economy calculations based on original manufacturer data for trim engine configuration. Please confirm the accuracy of the included equipment by calling us prior to purchase. Heated Seats, Moonroof, iPod/MP3 Input, Onboard Communications System, All Wheel Drive, Aluminum Wheels, Turbo Charged Engine. White Diamond Pearl exterior and Parchment interior, RDX trim. FUEL EFFICIENT 27 MPG Hwy/21 MPG City! READ MORE!KEY FEATURES INCLUDESunroof, Panoramic Roof, All Wheel Drive, Power Liftgate, Heated Driver Seat, Back-Up Camera, Turbocharged, Satellite Radio, iPod/MP3 Input, Onboard Communications System, Aluminum Wheels, Keyless Start, Dual Zone A/C, Lane Keeping Assist, Smart Device Integration Rear Spoiler, MP3 Player, Privacy Glass, Remote Trunk Release, Keyless Entry. Acura RDX with White Diamond Pearl exterior and Parchment interior features a 4 Cylinder Engine with 272 HP at 6500 RPM*.VEHICLE REVIEWSEdmunds.com's review says No matter what speed, these brakes inspire confidence thanks to predictable engagement and good feel.. Great Gas Mileage: 27 MPG Hwy.MORE ABOUT USAll preowned vehicles are covered by the Lorensen Advantage, including extended warranties and free services. For more information go to www.lorensen.com/lorensen-advantage.Horsepower calculations based on trim engine configuration. Fuel economy calculations based on original manufacturer data for trim engine configuration. Please confirm the accuracy of the included equipment by calling us prior to purchase. Moonroof, Heated Seats, iPod/MP3 Input, Onboard Communications System, All Wheel Drive, Aluminum Wheels, Turbo Charged Engine, Panoramic Roof. Modern Steel Metallic exterior and Ebony interior, RDX trim. EPA 27 MPG Hwy/21 MPG City! AND MORE!KEY FEATURES INCLUDESunroof, Panoramic Roof, All Wheel Drive, Power Liftgate, Heated Driver Seat, Back-Up Camera, Turbocharged, Satellite Radio, iPod/MP3 Input, Onboard Communications System, Aluminum Wheels, Keyless Start, Dual Zone A/C, Lane Keeping Assist, Smart Device Integration Rear Spoiler, MP3 Player, Privacy Glass, Remote Trunk Release, Keyless Entry. Acura RDX with Modern Steel Metallic exterior and Ebony interior features a 4 Cylinder Engine with 272 HP at 6500 RPM*.VEHICLE REVIEWSEdmunds.com's review says No matter what speed, these brakes inspire confidence thanks to predictable engagement and good feel.. Great Gas Mileage: 27 MPG Hwy.WHY BUY FROM USAll preowned vehicles are covered by the Lorensen Advantage, including extended warranties and free services. For more information go to www.lorensen.com/lorensen-advantage.Horsepower calculations based on trim engine configuration. Fuel economy calculations based on original manufacturer data for trim engine configuration. Please confirm the accuracy of the included equipment by calling us prior to purchase. Heated Seats, Moonroof, iPod/MP3 Input, Onboard Communications System, All Wheel Drive, Aluminum Wheels, Turbo Charged Engine. RDX trim, Modern Steel Metallic exterior and Parchment interior. EPA 27 MPG Hwy/21 MPG City! CLICK NOW!KEY FEATURES INCLUDESunroof, Panoramic Roof, All Wheel Drive, Power Liftgate, Heated Driver Seat, Back-Up Camera, Turbocharged, Satellite Radio, iPod/MP3 Input, Onboard Communications System, Aluminum Wheels, Keyless Start, Dual Zone A/C, Lane Keeping Assist, Smart Device Integration. Rear Spoiler, MP3 Player, Privacy Glass, Remote Trunk Release, Keyless Entry. Acura RDX with Modern Steel Metallic exterior and Parchment interior features a 4 Cylinder Engine with 272 HP at 6500 RPM*.VEHICLE REVIEWSNo matter what speed, these brakes inspire confidence thanks to predictable engagement and good feel. -Edmunds.com. Great Gas Mileage: 27 MPG Hwy.VISIT US TODAYAll preowned vehicles are covered by the Lorensen Advantage, including extended warranties and free services. For more information go to www.lorensen.com/lorensen-advantage.Horsepower calculations based on trim engine configuration. Fuel economy calculations based on original manufacturer data for trim engine configuration. Please confirm the accuracy of the included equipment by calling us prior to purchase. Moonroof, Heated Seats, iPod/MP3 Input, Onboard Communications System, All Wheel Drive, Turbo Charged, Aluminum Wheels. FUEL EFFICIENT 27 MPG Hwy/21 MPG City! RDX trim, Performance Red Pearl exterior and Parchment interior SEE MORE!KEY FEATURES INCLUDESunroof, Panoramic Roof, All Wheel Drive, Power Liftgate, Heated Driver Seat, Back-Up Camera, Turbocharged, Satellite Radio, iPod/MP3 Input, Onboard Communications System, Aluminum Wheels, Keyless Start, Dual Zone A/C, Lane Keeping Assist, Smart Device Integration. Rear Spoiler, MP3 Player, Privacy Glass, Remote Trunk Release, Keyless Entry. Acura RDX with Performance Red Pearl exterior and Parchment interior features a 4 Cylinder Engine with 272 HP at 6500 RPM*.VEHICLE REVIEWSGreat Gas Mileage: 27 MPG Hwy.MORE ABOUT USAll preowned vehicles are covered by the Lorensen Advantage, including extended warranties and free services. For more information go to www.lorensen.com/lorensen-advantage.Horsepower calculations based on trim engine configuration. Fuel economy calculations based on original manufacturer data for trim engine configuration. Please confirm the accuracy of the included equipment by calling us prior to purchase. Heated Seats, Moonroof, iPod/MP3 Input, Onboard Communications System, All Wheel Drive, Aluminum Wheels, Turbo Charged, Panoramic Roof. Lunar Silver Metallic exterior and Ebony interior, RDX trim. EPA 27 MPG Hwy/21 MPG City! AND MORE!KEY FEATURES INCLUDESunroof, Panoramic Roof, All Wheel Drive, Power Liftgate, Heated Driver Seat, Back-Up Camera, Turbocharged, Satellite Radio, iPod/MP3 Input, Onboard Communications System, Aluminum Wheels, Keyless Start, Dual Zone A/C, Lane Keeping Assist, Smart Device Integration Rear Spoiler, MP3 Player, Privacy Glass, Remote Trunk Release, Keyless Entry. Acura RDX with Lunar Silver Metallic exterior and Ebony interior features a 4 Cylinder Engine with 272 HP at 6500 RPM*.EXPERTS CONCLUDEEdmunds.com's review says No matter what speed, these brakes inspire confidence thanks to predictable engagement and good feel.. Great Gas Mileage: 27 MPG Hwy.MORE ABOUT USAll preowned vehicles are covered by the Lorensen Advantage, including extended warranties and free services. For more information go to www.lorensen.com/lorensen-advantage.Horsepower calculations based on trim engine configuration. Fuel economy calculations based on original manufacturer data for trim engine configuration. Please confirm the accuracy of the included equipment by calling us prior to purchase.